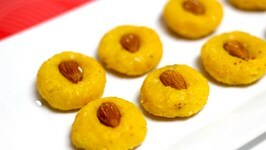 Quick Indian dessert recipe..perfect for Prasad. 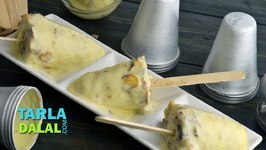 Prepare a delicious kulfi right at your home. 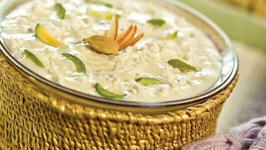 Kheer has always been a part of the indian spread. 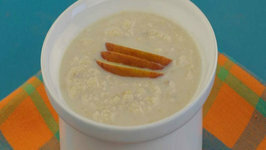 Times have changed, but kheer continues to find a special place in our meal! 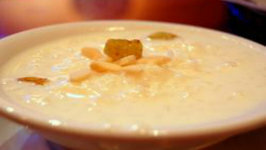 over time, several variations of kheer have emerged. 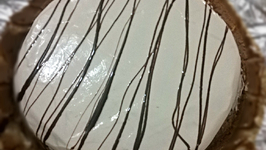 This is a very easy to make sweet dish. . . . 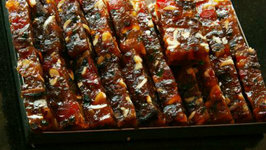 It is made with minimum ingredients and is worth a try! 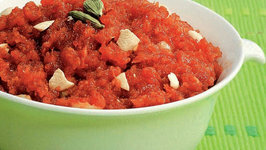 An easy to make gajar halwa which is quick to make. 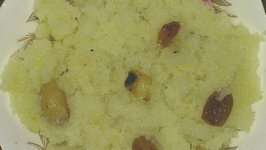 Milk is thickened with fresh bread crumbs to give you an instant rabdi. 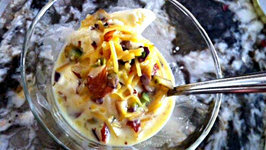 This is not the original recipes but one that's used to make a really creamy rabdi in a jiffy. 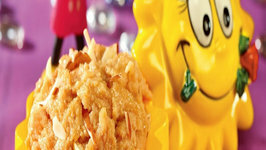 Pineapple puree imparts sweetness and a fruity flavor to this sheera. 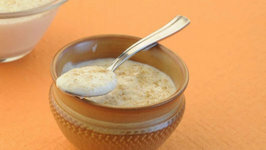 Nutritious and highly recommended for kids, serve warm sheera when your child comes home hungry or ..
Paneer kheer, watch your kids lick off this delectable kheer from their bowls, up to the last drop! 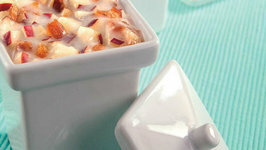 serve it hot right from the pressure cooker or refrigerate and serve ..
Low fat milk thickened with apple! The addition of nutmeg and cardamom blends well with the subtle flavors. 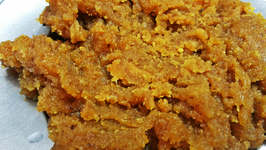 This halwa is rich and sweet. A traditional favorite during any festival. Its also great for curing sore throats. 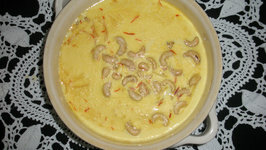 This is a rich milky sauce, delicately scented with saffron threads and ghee and loaded with nuts. Pour this over ice cream for this heavenly dessert. 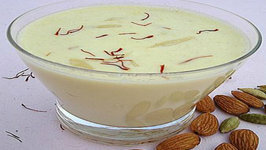 Payasam is a south Indian delight prepared on festivals or any other special occasion. 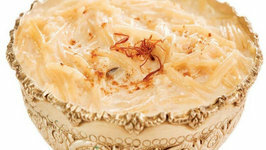 Basically in this version vermicelli is cooked in milk with sugar but you can ..
Gujia is a traditional Indian sweet dish that is commonly made in households on the occasion of Holi, Diwali and other festivals. 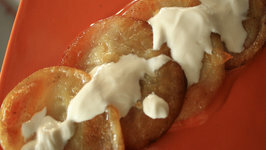 Simple dessert for calorie conscious and diabetics. 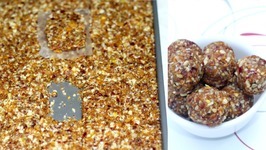 Easy to make, takes a little longer to reach the right consistency but hassle free. 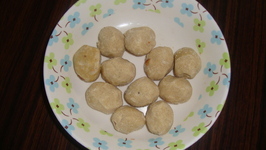 Commonly known as "BASUNDI" in Maharashtra. 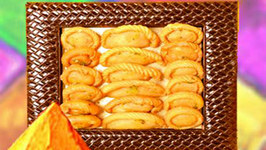 This sweet recipe is a regular for any special occasion, be it parties, birthdays or festivals. 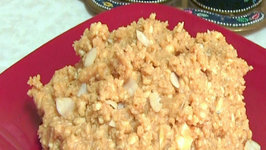 There are various kinds of halwa's,and sojji halwa is one of them and is .. Twisted Mango Shake is one of my kid's favorite recipe. 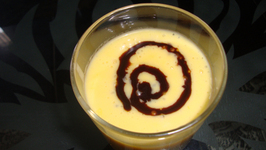 I always try to make different versions of mango shake for my kids. Festivities are always demanding and quite pressing especially when around the corner. 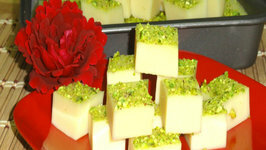 Here is a sweet delicacy that can me made in less time with less efforts.